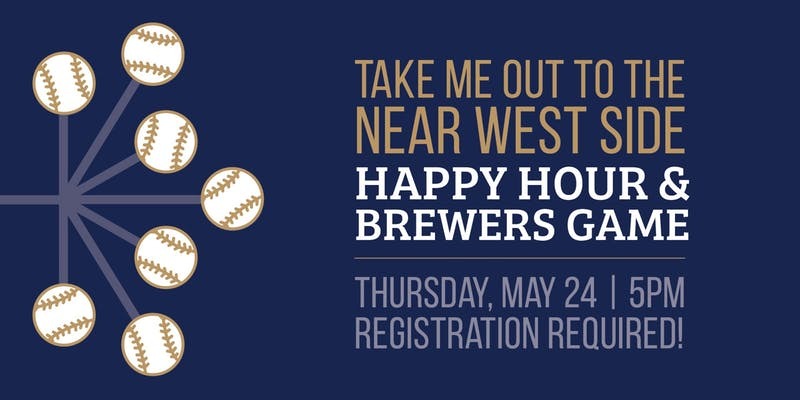 As a special “Thank you” to Near West Side employees, Near West Side Partners will host an exclusive happy hour and Brewers game on Thursday, May 24. Happy hour will begin at 5 p.m. at the Valley Inn. Drink specials and free appetizers will be available prior to the game. The Brewers game against the New York Mets will begin at 7:10 p.m. at Miller Park. Tickets to the game are available to all Near West Side employees plus one guest and will be available for pick up at the Valley Inn on Thursday, May 24. This exclusive event is open to the first 100 people who register; tickets will go fast. Sign up online now.